Women’s economic empowerment is the process of achieving women’s equal access to economic resources, and the ability to control those resources over other areas of their lives. Its achievement is now a global policy priority in light of its contribution to the Sustainable Development Goals (SDGs). Women’s economic empowerment includes women’s ability to participate equally in existing markets as well as an increased voice, agency and meaningful participation in economic and political decision-making at all levels from the household to international institutions. Join GlobalWA members Oxfam America, Fair Trade USA and CARE as they share their expertise on how women’s economic empowerment leads to increased political freedoms and access to improved rights. 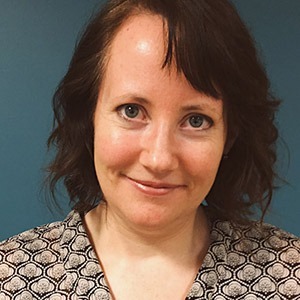 Anna E. Banks joined Fair Trade USA in May 2018 as Chief Marketing Officer. She is honored to now be the steward of the Fair Trade USA brands and all the associated consumer and business marketing efforts. Anna brings 25+ years of marketing experience that has spanned both the largest and smallest companies. She worked at Walmart.com leading marketing across Category, Campaign and Consumer Segment teams, adding deep retail to her list of marketing specialties that includes digital strategy, consumer insights, marketing ecosystem design, content & influencer programs and CRM. On the other end of the spectrum, Anna has worked advising small early stage, social impact companies on their marketing and growth acceleration strategies. Anna’s passion for marketing strategy and digital innovation has translated into the creation of consumer and business-to business experiences that have connected digital and traditional channels. Her experience leading marketing teams has crossed industries from tech to tennis shoes, and consumer packaged goods to African couture. She is excited to now merge personal and professional passions and turn her skills towards social entrepreneurship, and the mission to bring greater equity to an imbalanced global economy. A San Francisco native still recovering from almost twenty years on the East Coast, Anna now lives in Oakland. 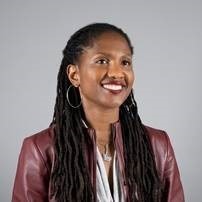 She is a member of angel investing network Pipeline Angels which focuses on social entrepreneurship ventures founded by women, serves on the board of an independent K-8 girls school, and is a former board member of the Museum of the African Diaspora in San Francisco. As a pattern-making and design student at the Apparel Arts school in Oakland, she has developed a zeal for ethical, sustainable and slow fashion. Anna earned an MBA from Harvard Business School and an AB from Harvard College with a double major in Sociology and Visual & Environmental Studies. Mara is Associate Director of Women’s Economic Empowerment in Oxfam’s Food Systems Theme. She has over 20 years of experience working in the fields of women’s empowerment, international development, and emerging markets finance. Mara is the global lead on the Women in Small Enterprise initiative, which includes Oxfam America’s first impact investing fund that focuses on women entrepreneurs in Latin America. Prior to Oxfam, Mara consulted with the Middle East Investment Initiative, a public-private partnership of the Aspen Institute, the Overseas Private Investment Corporation, and the Palestinian Investment Fund, to develop a new form of small business insurance to help Palestinian exporters hindered by travel restrictions. Prior to that she worked at the Federal Reserve Bank of New York as an emerging markets financial sector analyst. She has worked with various international finance and development organizations, including US Export-Import Bank, the Overseas Private Investment Corporation and the World Bank. She has an MBA from Johns Hopkins University and a Masters in Foreign Service from Georgetown University. Mara speaks fluent Latvian and basic Russian. Dar Vanderbeck is the Chief Innovation Officer for CARE USA. In this role, Dar’s work lies at the intersection of innovation, social justice and movement building. Prior to CARE, she was the Managing Director of Teach For America’s Social Innovation & Entrepreneurship team, where she designed and executed programming to inspire and accelerate 40,000 former teachers to launch innovations solving for educational equity. 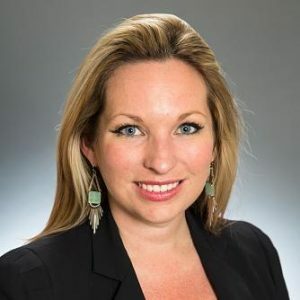 She is also a co-founder of Imperative (imperative.com), a technology platform that connects people to their professional purpose and was a communications specialist for McKinsey & Co. Furthermore, Dar was the Vice President of Resolute Consulting where she launched and managed a diaspora fund that invested in social enterprises in Egypt in the wake of the Arab Spring. Dar served as a presidential appointee under the Obama Administration during his first term at the U.S. Agency for International Development (USAID), working in Afghanistan for the Office of Transition Initiatives (OTI) and as the Special Assistant to the Administrator. She also served on the Foreign Assistance Agency Review Team for the Obama-Biden Transition Team in 2008-09 where she helped create the President-Elect’s global development approach. Prior to that, she was a field director during the Obama Campaign for Change in 2008 in Florida and beyond. 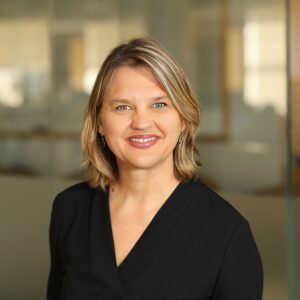 Dar began her career in development as a paralegal for a small non-profit in coastal Kenya (MUHURI – Muslims for Human Rights) and as an education fellow for the Open Society Institute in Ukraine. 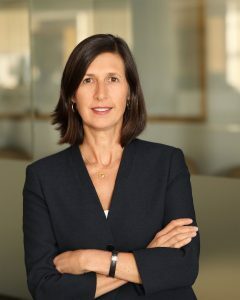 Abby Maxman joined Oxfam America as president and CEO in 2017. With more than 30 years of experience in international humanitarian relief and development, she brings a strategic focus on addressing the policies and systems that perpetuate global poverty. Maxman has particular experience in gender and power in social change; humanitarian preparedness and response; and organizational development, behavior and culture. Throughout her career she has also focused on prevention of sexual exploitation and abuse within the aid sector, and currently plays an important role within the Oxfam Confederation and among US-based NGOs to improve safeguarding practices. Prior to joining Oxfam, Maxman served as Deputy Secretary General of CARE International in Geneva, providing leadership across the CARE confederation. She previously served as Vice President of International Programs and Operations for CAREUSA, and in other country and regional leadership roles in Africa, Latin America, Asia and the Middle East. Before CARE, Maxman had assignments with the U.S. Peace Corps, German Agency for Technical Cooperation, UN World Food Programme, U.S. Environmental Protection Agency, and the U.S. Department of Agriculture. She has a Bachelor of Arts in History and Political Science from Colorado College and a Masters of International Administration from The School for International Training in Brattleboro, Vermont. Maxman has witnessed the impact of poverty, injustice, war and disaster first hand, and has said she believes the fight against global poverty and inequality is more relevant than now than ever before.